On Wednesday, November 1st, Google’s Get Your Business Online team will be joining forces with the Small Business Administration (SBA), Constant Contact, Facebook, and Square to put on a workshop, streamed live on YouTube. This team of digital experts is part of the SBA’s Small Business Technology Coalition, committed to empowering entrepreneurs across the U.S. to use the web and digital tools to better manage, promote, and grow their businesses. Experts will take you through a marketing wonderland, sharing search engine optimization strategies, tips for reaching customers on mobile, steps for creating a seasonal email marketing plan, advice on the latest and safest payment options, and more. And if you have questions, we’ll be finishing up with a live Q&A via Twitter. You can participate by tweeting your question using the hashtag #MarketingWonderland. Find and register for a partner-hosted viewing party near you to check out the livestream on November 1st. These events are offered at no charge for you to attend, and in addition to catching the workshop, you could also get hands-on help applying what you’ve learned and mingle with other business owners and organizations in your area. Can’t find a viewing party that works for you? You can also watch the livestream from your own home or office. Register now and we’ll send you details on where to access the workshop on November 1st. We hope you’ll be tuning in on November 1st—let’s deck the digital halls for your merriest and brightest season yet! The holiday season officially begins in a few short weeks. While everyone else is making their shopping, entertaining, and traveling lists (and checking them twice), if you’re a small business owner, you’re probably busy prepping. We’re here to help. .1 That’s why Google is bringing Questions and Answers to local business listings. As a business owner, you have the most reliable answers to your customers’ questions and we want to make it easy for you to receive and respond to those questions. That’s just what Questions and Answers lets you do. To start using it, just search for your business on your mobile phone and go to the Questions and Answers feature on your Google business listing. 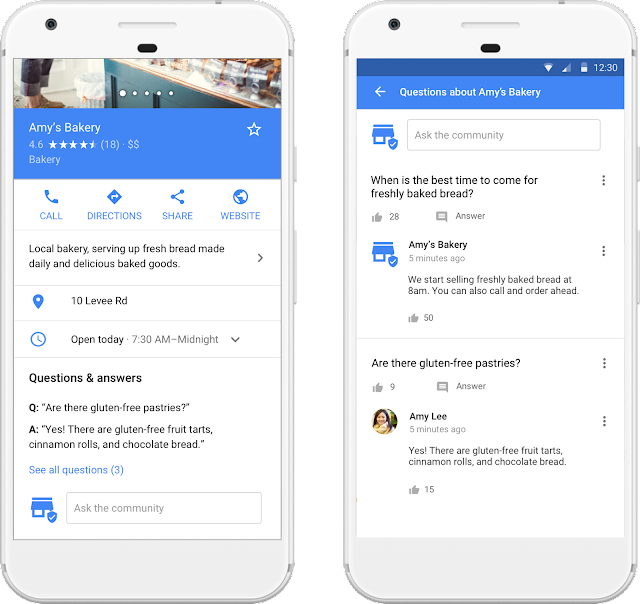 Add frequently asked questions to your listing so that mobile users who find your business on Google Search and Google Maps can easily get the answers to your customers’ most common questions. Answer questions from potential customers on Google Search and Google Maps on your mobile phone. If you have Google Maps on Android, we‘ll also send you a push notification when a new question has been asked about your business so you can post an answer instantly. Highlight top responses. Beyond FAQs and your own responses, customers are also able to answer each other’s questions. You can highlight the most helpful answers from your customer community by using the thumb to bump them up to the top of the list. If you’re not using Google My Business yet, sign up and start managing your free business listing on Google. Once you’ve verified your business, you’ll be ready to start posting and answering questions. To learn more, visit the Google Maps Help Center. 1. Google. Google Consumer Barometer, 2017. Planning a visit to a local business can raise questions ranging from “Does this restaurant provide high-chairs?” to “What accessibility accommodations does this B&B offer?” When looking for answers, 82% of people turn to search engines, but they often have a hard time finding accurate, up-to-date information.1 That’s why Google is bringing Questions and Answers to local business listings. Home Service ads make it quick and easy to find local service professionals you can trust. When someone searches on Google for a local service professional like a plumber, electrician, or house cleaner, the Home Service unit may appear at the top of the results page. Being in the Home Service unit serves as a badge of trust for service professionals–only those meeting Google's strict qualifying criteria are featured there. Each professional has a unique profile where they can showcase their specific services, service areas, and hours of operation. Customers have the ability to browse through these profiles, see reviews from previous customers, and contact selected professionals who meet their specific needs with a phone call or an online request. 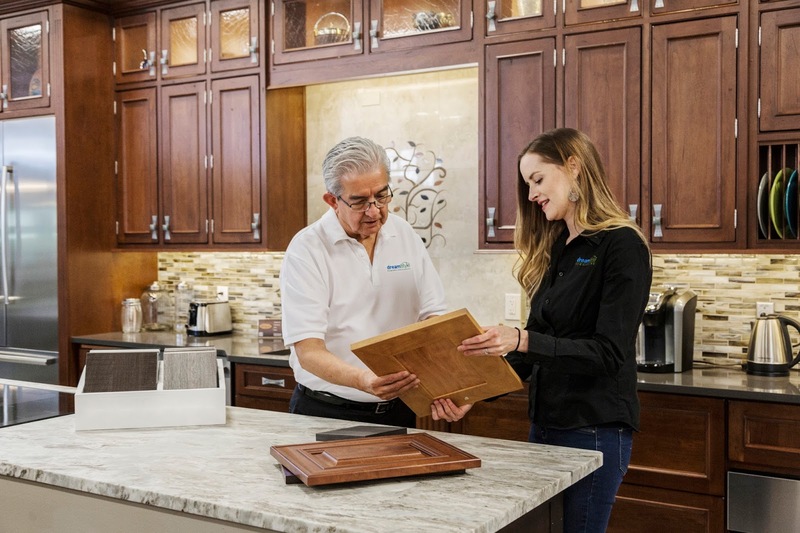 Since its launch, Home Service ads has enabled a number of small service businesses to expand rapidly. 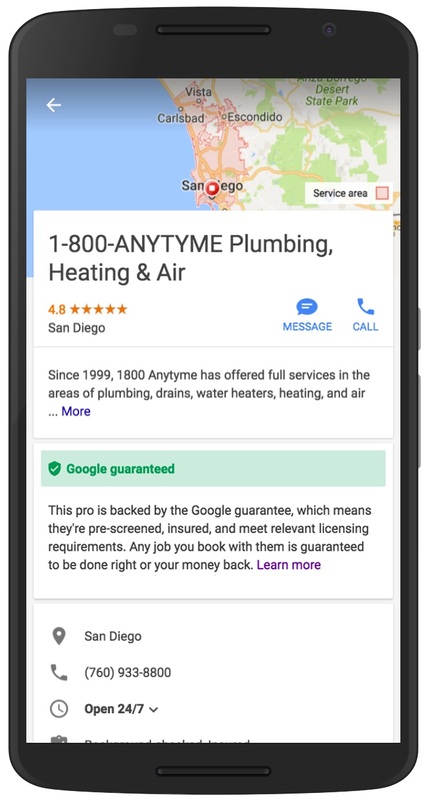 Dan Travers, the owner of 1-800-ANYTYME Plumbing, Heating and Air, started using Home Services in order to reach new customers online. Dan has been impressed by the ability of Home Services to generate a high volume of quality leads for the business. “Our booking rates are up close to 70%,” he says. “I had to hire two more technicians to take on the additional volume. We are definitely seeing our return on investment." To keep helping businesses like Dan’s, we’re continuing to expand Home Services ads. The product is now available in the San Francisco Bay Area, Sacramento, Stockton, San Diego, Los Angeles, and Philadelphia. We’ve also made it available to other types of businesses, like painters, electricians, and towing providers. We’re growing quickly, so to be among the first to hear our updates, or to apply for Home Services if we’re already in your area, please fill out this short form. Fast mobile sites get more customers. Let's help get yours up to speed. Your site’s mobile speed: 50% of people expect a site to load in less than two seconds.3 Find out how fast your site loads. The number of visitors you may be losing: When it comes to mobile speed, every second matters – for each additional second it takes a mobile page to load, conversions can drop by up to 20%.4 Learn how many people may be leaving your site during the time it takes to load. How you compare to the competition: See how your business stacks up against others in your industry. How to make your site faster: We’ll email you a personalized assessment with specific recommendations on how to speed up your site. Making changes like these can help you see a real impact on your business, too – get started now with Test My Site. 1. Think with Google, Find Out How You Stack Up to New Industry Benchmarks for Mobile Page Speed, 2017. 2. Google Webmaster Central Blog, #MobileMadness: a campaign to help you go mobile-friendly, 2015. 3. DoubleClick by Google, The need for mobile speed, 2016. 4. Think with Google, 4 Things You Need to Know About the Future of Marketing, 2017.
,1 your Google listing is the ideal place to showcase what is unique about your business. Even when customers know exactly what they're looking for, they still want to get to know the business and see what it has to offer. 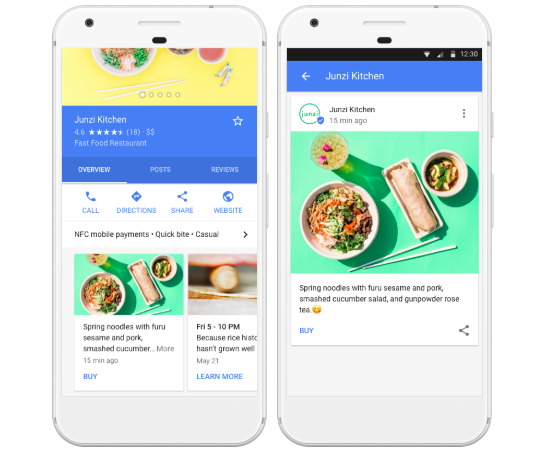 That’s why Google My Business is bringing Posts to local businesses — an easy way to help attract new customers and build relationships with the customers you already have. Posts appear on your Google business listing. Customers can tap to read the full post, and they can also share your post with their friends directly from Google. 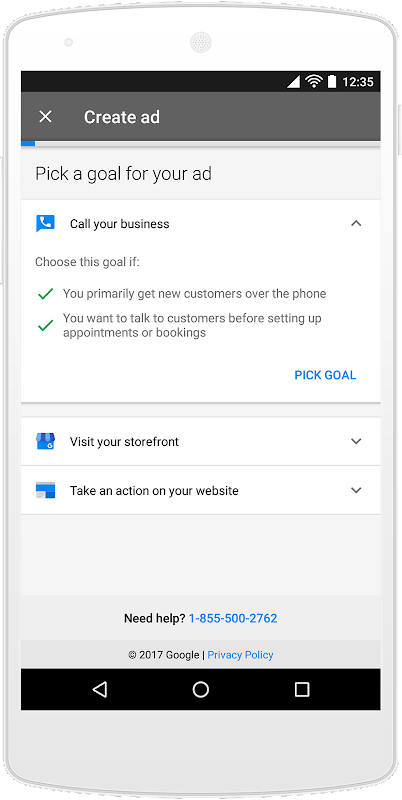 If you’re a Google My Business user, you can start posting right now. 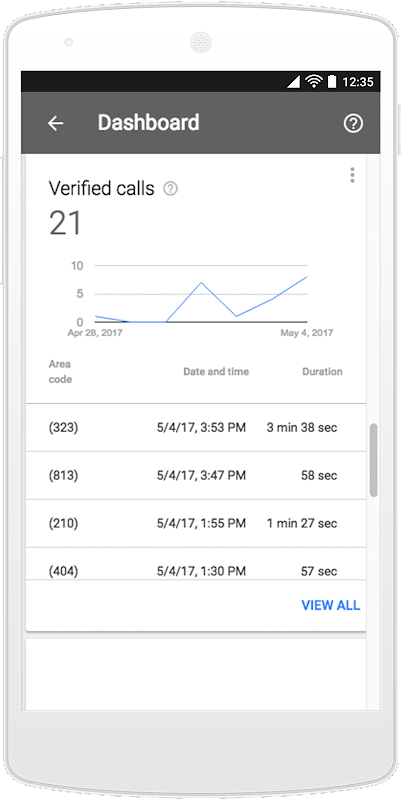 Posts can be created on-the-go using the Google My Business Android and iOS apps or website. If you’re not yet using Google My Business, sign up and get started today managing your business listing on Google. Once you’ve verified your business, you’ll be ready to start posting. To learn more, visit the Google My Business Help Center. 1 Google. Google Consumer Barometer. 2014/2015. 2 Google. Google Consumer Barometer. 2014/2015. With 82% of people turning to search engines to find local information,1 your Google listing is the ideal place to showcase what is unique about your business. Even when customers know exactly what they're looking for, they still want to get to know the business and see what it has to offer. 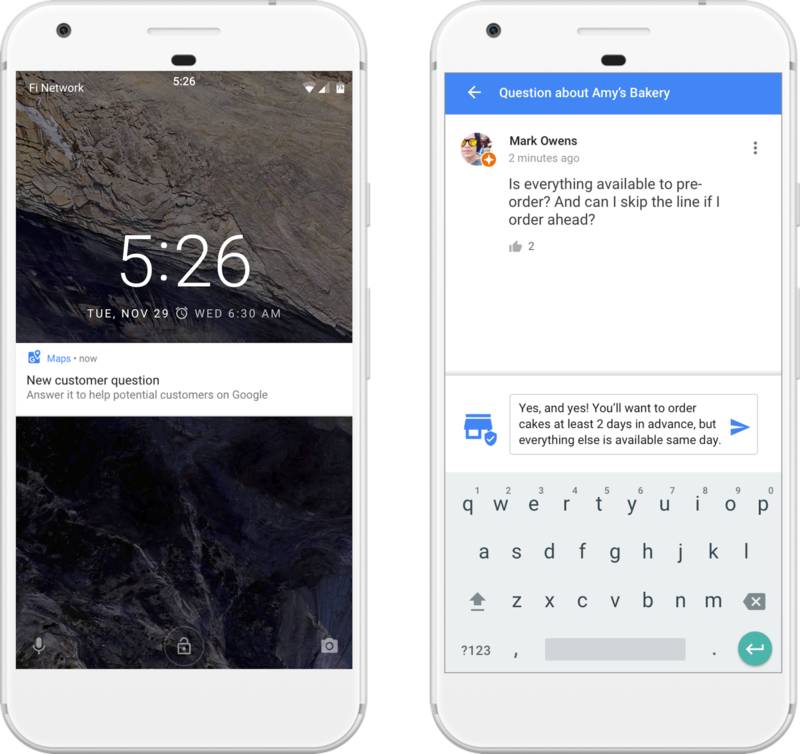 That’s why Google My Business is bringing Posts to local businesses — an easy way to help attract new customers and build relationships with the customers you already have. We wanted to better understand the web’s role in helping small businesses grow in today’s economy, so we recently commissioned new research with Deloitte. The study found that the use of digital tools (such as websites, analytics, and online marketing) positively impacts small business growth in four key ways: reaching new customers, reaching new markets, growing faster, and creating jobs. Digital tools help small businesses reach more customers at every stage of the purchase process. In fact, Deloitte’s research found that small businesses using advanced digital tools such as web analytics and online video, were almost 3x as likely to have increased customer interest, like calls and leads. They were also more than 3x as likely to have seen more sales inquiries, like foot traffic and orders, in the last year. Wichita Furniture in Wichita, KS has experienced these highly qualified leads first-hand. Their website traffic increased almost 50 percent in 2016, and they attribute the lion’s share of this growth to online advertising. The web can open up new markets to small businesses, whether they’re across the country or across the world. Deloitte’s research found that digitally advanced small businesses are 3x as likely to have exported in the last year. That’s what Jim and Kelley Hobart discovered with their company Alpaca Direct, based in Hayden, ID. 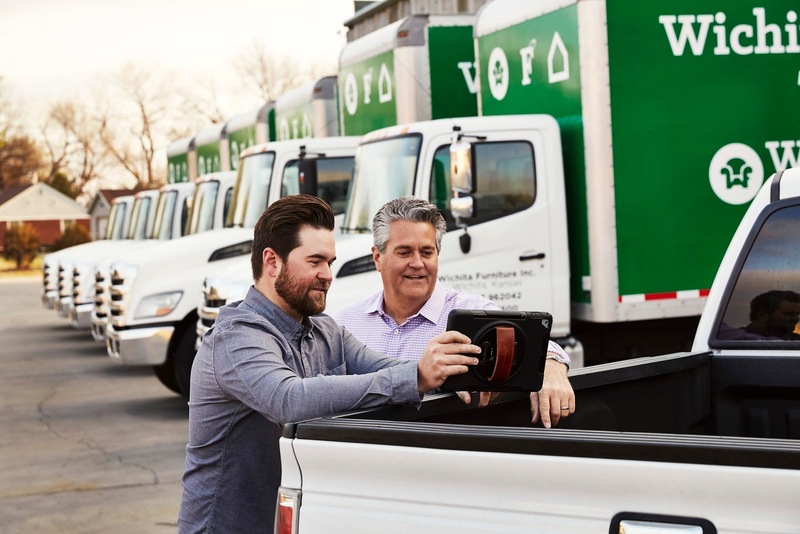 Digital resources like online video and cloud-based communication tools connect Alpaca Direct to customers across the globe. "There are a lot of people all over the world who don't have a local yarn shop. We want to become their local yarn shop even though we're all the way here in Idaho." Digitally advanced small businesses experienced revenue growth that was nearly 4x as high as the previous year. 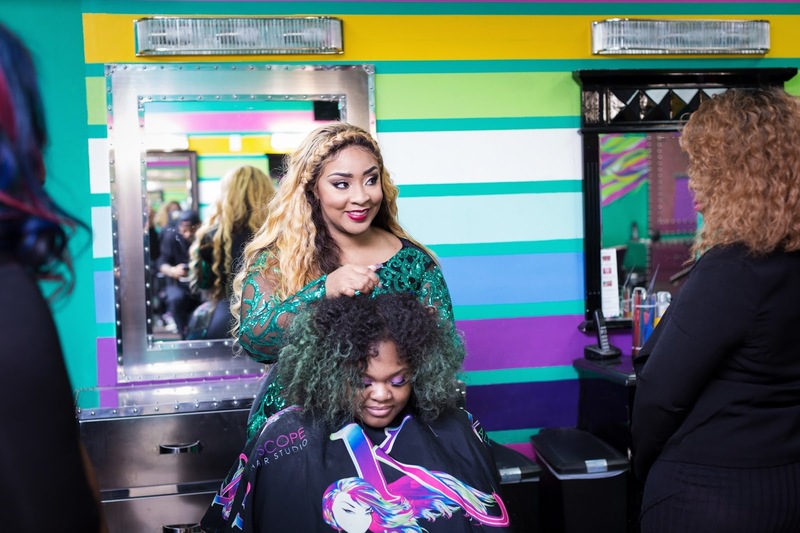 Businesses like Kaleidoscope Hair Products based in New Orleans, LA, are growing faster because of the web. In 2016, Kaleidoscope reached more than 43,000 customers and doubled their revenue from the previous year. "We went from selling no products to having a full warehouse, exponential growth, and distributors all around the world." Digitally advanced small businesses are job creators. In fact, they were nearly 3x as likely to have created new jobs in the last year. Dreamstyle Remodeling, based in Albuquerque, NM, is a job creator in their community. They have been growing 34 percent annually since 2013 and expect to reach $100 million in sales this year. Since developing their digital strategy, Dreamstyle has added 250 employees to keep pace with their growth. They plan on hiring another 500 people to support their expansion in two additional locations by 2020. "We think [our 2020 plan] is possible... And the web and Google tools are going to be critical to that growth." This is a glimpse into how small businesses are growing using digital tools. Read the full results from the Deloitte research study. To learn how your business can get online and grow, check out new resources available through our Get Your Business Online program. Small businesses are the backbone of our local economy, and they make our communities special. Businesses are revitalizing their towns, creating jobs, and shaping their communities—one customer and employee at a time.